Are we right on the verge of one of the greatest financial collapses in American history? I have been repeatedly warning that our ridiculously over-inflated stock market bubble could burst at any time, but former Federal Reserve Chairman Alan Greenspan believes that the bond bubble actually presents an even greater danger. When you look at the long-term charts, you will see that an epic bond bubble has been growing since the early 1980s, and when it finally collapses the financial carnage is going to be unlike anything we have ever seen before. 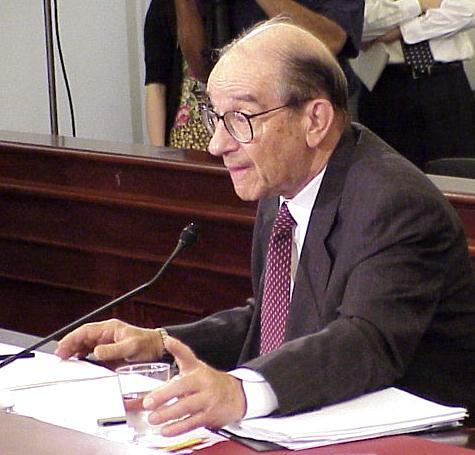 Former Federal Reserve Chairman Alan Greenspan issued a bold warning Friday that the bond market is on the cusp of a collapse that also will threaten stock prices. In a CNBC interview, the longtime central bank chief said the prolonged period of low interest rates is about to end and, with it, a bull market in fixed income that has lasted more than three decades. Advisors and investors beware, the long-swelling bubble in the bond market looks set to pop. Major bond investors are as worried as they have ever been, mostly because of the reduction in easing that is finally coming to markets. Central banks are letting off the gas pedal for the first time in almost a decade, which could have a devastating effect on the bond market. According to the head of fixed income at JP Morgan Asset Management, who oversees almost half a trillion in AUM, “The next 18 months are going to be incredibly challenging. I am not an equity investor, but I can just imagine how equity investors felt in 1999, during the dotcom bubble”. He continued, “Right now, central banks are printing money at a rate of around $1.5tn per year. That is a lot of money going into bonds. By this time next year, we think this will turn negative”. So how will we know when a crisis is imminent? It’s still too soon to tell, but this could be the beginning of a realignment with both rates getting in sync again. This will not be confirmed, however, until the 30-year yield rises and stays above its mega moving average, currently at 3.18%. As you know, this moving average is super important. 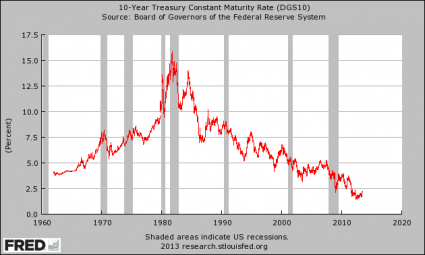 It’s identified and confirmed the mega downtrend in long-term interest rates ever since the 1980s. In other words, it doesn’t change often. So, if this trend were to change and turn up, it would be a huge deal. Today, the 30-year yield moved up to 2.83 percent, and so we aren’t too far away. The stock market “has an awful good gig going,” with the economic recovery reaching all corners of the globe and U.S. inflation and interest rates still at historic lows, Leuthold Chief Investment Strategist Jim Paulsen told CNBC on Friday. I think that Paulsen will end up deeply regretting those words. No bull market lasts forever, and analysts at Goldman Sachs are warning that there is a 99 percent chance that stock market returns will be sub-optimal over the next decade. But most people believe what they want to believe no matter what the facts may say, and Paulsen apparently wants to believe that things will never be bad for the financial markets ever again. In the aftermath of the financial crisis of 2008, the powers that be decided to patch the old system up. Instead of addressing the root causes of the crisis, they chose to paper over our problems instead, and now we are in the terminal phase of the biggest financial bubble in history. This time around, it is absolutely imperative that we do things differently. The Federal Reserve is the primary reason why our economy is on an endless roller coaster ride. We have had 18 distinct recessions or depressions since 1913, and now another one is about to begin. By endlessly manipulating the system, they have caused these cycles of booms and busts, and it is time to get off of this roller coaster once and for all. Like Ron Paul, I believe that we need to shut down the Federal Reserve and get our banks under control. I also believe that we should abolish the federal income tax and go to a much fairer system. From 1872 to 1913, there was no central bank and no federal income tax, and it was the greatest period of economic growth in U.S. history. If we rebuild our financial system on sound principles, we could actually have a shot at a prosperous future. If not, the long-term future for our economy looks exceedingly bleak. If you believe in what I am trying to do, I would like to ask for your help. I am running for Congress in Idaho’s First Congressional District, and since there is no incumbent running for this seat the race is completely wide open. Every time I share my message, more voters are coming over to my side, and if I am able to get my message out to every voter in this district I will win. And I would like to encourage like-minded people to run for positions all over the country on the federal, state and local levels. Individually, there is a limit to what we can do, but if we work together we can build a movement which could turn this nation completely upside down. 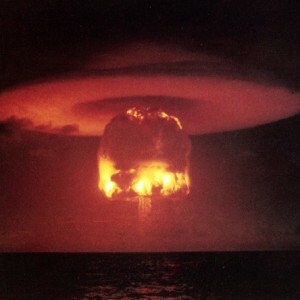 Are we about to witness trillions of dollars of “paper wealth” vaporize into thin air? During the next financial crisis, a lot of “wealthy” investors are going to be in for a very rude awakening. The truth is that securities are only worth what someone else is willing to pay for them, and that is why liquidity is so important. 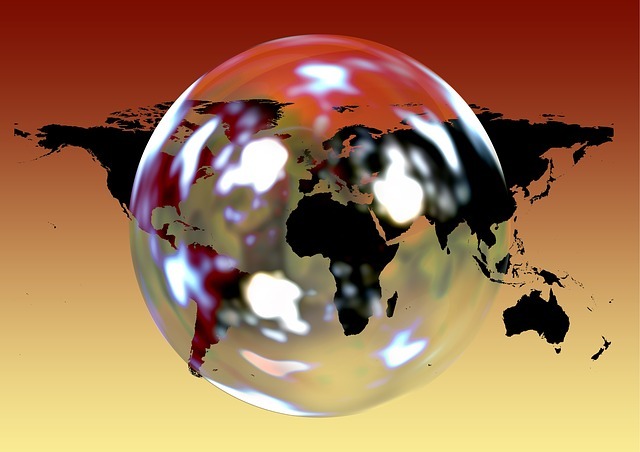 Back on April 17th, I published an article entitled “The Global Liquidity Squeeze Has Begun“, but it didn’t get nearly as much attention as many of my other articles do. But now that the liquidity crisis is intensifying, hopefully people will start to grasp the implications of what is happening. The 76 trillion dollar global bond bubble is threatening to implode, and if it does, the amount of “paper wealth” that could potentially be lost during the months ahead is almost unimaginable. There are three things that matter in the bond market these days: liquidity, liquidity and liquidity. How — or whether — investors can trade without having prices move against them has become a major worry as bonds globally tanked in the past few months. As a result, liquidity, or the lack of it, is skewing markets in new and surprising ways. Fund managers who together control trillions in assets are starting to panic in the face of an acute bond market liquidity shortage. Dealer inventories have collapsed in the post-crisis regulatory regime, eliminating the traditional source of liquidity in secondary corporate credit markets, while HFTs and central banks have combined to create the conditions under which USTs and German Bunds can, at any given time, trade like penny stocks (October’s Treasury flash crash and May’s dramatic Bund rout are the quintessential examples). “When the unwind comes, like we’ve seen in the past few months, it comes abruptly and sharply as the exit door is tiny,” said Ryan Myerberg, a London-based fund manager at Janus Capital Group Inc., which oversees about $190 billion. In the end, I believe that those that “squeezed through the door” during this time period are going to be very glad that they got out while they still could. Icahn compared the current market situation to the prerecession days, when mortgage-backed securities were being widely sold. “It’s almost deja vu,” he said. 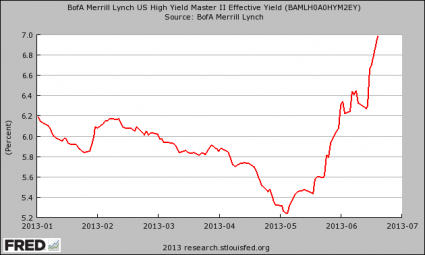 Let’s talk about high-yield bonds for a moment. 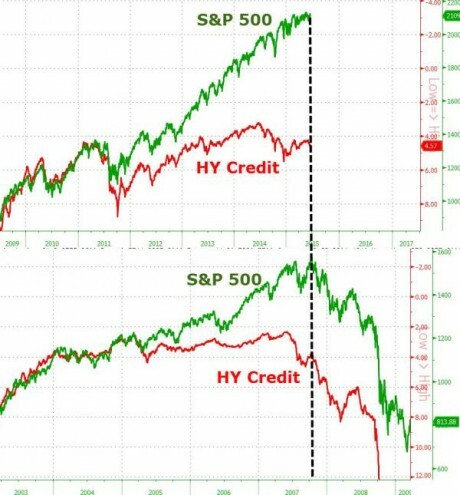 Prior to the last financial crisis, they started crashing way before stocks did, and now we see the exact same pattern repeating once again. It is glaringly apparent that we are due for a “correction”. And even though stocks have recently hit brand new record highs, there are rumblings under the surface that a big move down is right around the corner. For example, USA Today is reporting that mutual fund investors have pulled more money out of stocks than they have put in for 16 weeks in a row…. In a sign of stock market nervousness on Main Street, mutual fund investors have yanked more money out of U.S. stock funds than they put in for 16 straight weeks. The last time domestic stock funds had positive net cash inflows was in the week ending Feb. 25, according to data from the Investment Company Institute, a mutual fund trade group. In the week ended June 17, the most recent data available, mutual funds that invest in U.S. stocks suffered net outflows of $3.45 billion, according to the ICI. Since late February, U.S. stock funds have suffered estimated outflows of nearly $55 billion. Those net withdrawals come despite the fact the benchmark Standard & Poor’s 500 hit a fresh record high of 2130.82 on May 21 and the Dow Jones industrial average notched a fresh record on May 19. Those that are smart are getting out while the getting is good. In all the time that I have been publishing The Economic Collapse Blog, I have never seen stocks so primed for a crash. If you were writing up a scenario for a textbook that imagined what a lead up to a major stock market crash would look like, you could very easily use the last six months as a model. For a long time, many people out there (including some of my readers) have been very impatiently waiting for the financial markets to crash. But this is not something that any of us should want to see. When this next great financial crisis comes, it is going to be absolutely horrible. Millions upon millions of workers will lose their jobs, and there will be tremendous economic suffering all over the planet. Tomorrow I plan to share something that is going to shock a lot of people. It is going to be something that I have never done before, but the time has come. Warren Buffett believes “that bonds are very overvalued“, and a recent survey of fund managers found that 80 percent of them are convinced that bonds have become “badly overvalued“. The most famous bond expert on the planet, Bill Gross, recently confessed that he has a sense that the 35 year bull market in bonds is “ending” and he admitted that he is feeling “great unrest”. Nobel Prize–winning economist Robert Shiller has added a new chapter to his bestselling book in which he argues that bond prices are “irrationally high”. The global bond bubble has ballooned to more than 76 trillion dollars, and interest rates have never been lower in modern history. In fact, 25 percent of all government bonds in Europe actually have a negative rate of return at this point. 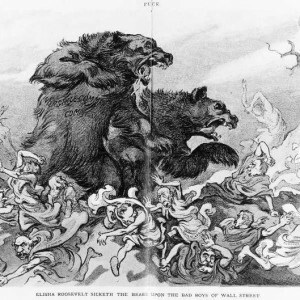 There is literally nowhere for the bond market to go except for the other direction, and when this bull market turns into a bear it will create chaos and financial devastation all over the planet. Stanley Druckenmiller, George Soros, Ray Dalio, Jeremy Grantham, among others warn investors that our 35 year investment supercycle may be exhausted. They don’t necessarily counsel heading for the hills, or liquidating assets for cash, but they do speak to low future returns and the increasingly fat tail possibilities of a “bang” at some future date. To them, (and myself) the current bull market is not 35 years old, but twice that in human terms. Surely they and other gurus are looking through their research papers to help predict future financial “obits”, although uncertain of the announcement date. Savor this Bull market moment, they seem to be saying in unison. It will not come again for any of us; unrest lies ahead and low asset returns. Perhaps great unrest, if there is a bubble popping. I wish to still be active in say 2020 to see how this ends. As it is, in 2015, I merely have a sense of an ending, a secular bull market ending with a whimper, not a bang. But if so, like death, only the timing is in doubt. Because of this sense, however, I have unrest, increasingly a great unrest. You should as well. Bill Gross is someone that knows what he is talking about. I would consider his words very carefully. In the first edition of his landmark book “Irrational Exuberance,” published in 2000, the Yale professor of economics and 2013 Nobel Laureate presciently warned that stocks looked especially expensive. In the second edition, published in 2005 shortly before the real estate bubble crashed, he added a chapter about real estate valuations. And in the new edition, due out later this month, Shiller adds a fresh chapter called “The Bond Market in Historical Perspective,” in which he worries that bond prices might be irrationally high. For years, ultra-low interest rates have enabled governments around the world to go on a debt binge unlike anything the world has ever seen. Showing very little restraint since the last financial crisis, they have piled up debts that are exceedingly dangerous. If interest rates were to return to historical norms, it would instantly create the greatest government debt crisis in history. 4) Global growth is declining despite money printing and bailouts And, we’ve saved the latest and greatest fact for last: as stunning as 0% interest rates sound, the mathematically-challenged-fantasyland called Europe has just one upped everyone by introducing NEGATIVE INTEREST RATES. As of writing, over 25% of all bonds issued by European governments has a guaranteed negative return for investors. Germany can borrow money for 5 years at an interest rate of NEGATIVE 0.10%. Yes, instead of Germany paying you interest when you lend them money, you have to pay them interest. These same negative interest rate conditions exist across many of the Eurozone countries, as well as Denmark, Sweden and Switzerland. Negative interest rates are by nature irrational. Why in the world would you pay someone to borrow money from you? It doesn’t make any sense at all, and this irrational state of affairs will not last for too much longer. Anyone who holds the view that the Fed will not soon raise interest rates,and soon, fails to understand the nature of the developing crisis. It will be led by a collapse of the bond market. Market forces, somewhat misleadingly called bond-vigilantes, will lead the charge. 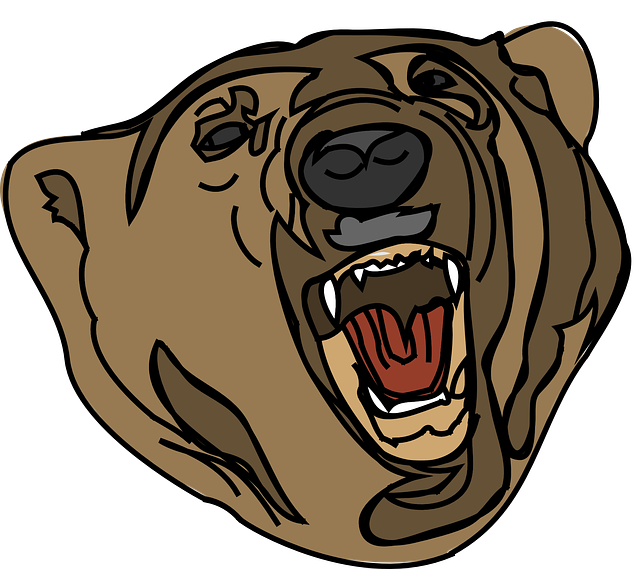 I am not as bearish in the short-term on the stock market. The equity markets will be volatile because of the climb in rates and look scary at times but the death spiral will be in the bond market. 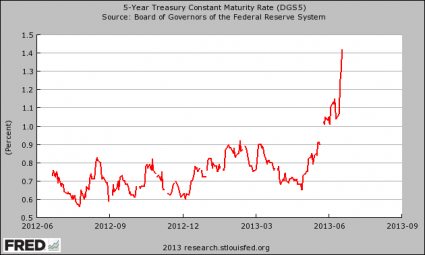 As this death spiral accelerates, we are going to see global interest rates rise dramatically. And considering the fact that more than 400 trillion dollars in derivatives are directly tied to interest rates, that is a very scary thing. “The market is in a position where it’s not just going to be a 10 percent correction. Maybe it first goes up a bit further, but when it comes, it will be 30 percent or 40 percent minimum!” Faber asserted. Where we are right now is at the end of the party. There are some that want to keep on dancing to the music for as long as possible, but most can see that things are winding down and people are starting to head for the exits. The irrational global financial bubble that investors have been enjoying for the past few years has stretched on far longer than it should have. But that is the way irrational bubbles work – they just keep going even when everyone can see that they have become absolutely absurd. However, eventually something always comes along and bursts them, and once that happens markets can crash very, very rapidly. What does it look like when a 30 year bull market ends abruptly? What happens when bond yields start doing things that they haven’t done in 50 years? If your answer to those questions involves the word “slaughter”, you are probably on the right track. Right now, bonds are being absolutely slaughtered, and this is only just the beginning. Over the last several years, reckless bond buying by the Federal Reserve has forced yields down to absolutely ridiculous levels. For example, it simply is not rational to lend the U.S. government money at less than 3 percent when the real rate of inflation is somewhere up around 8 to 10 percent. 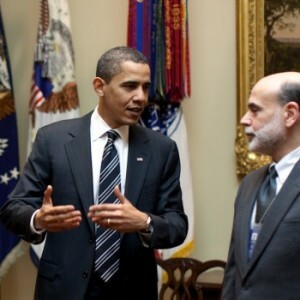 But when he originally announced the quantitative easing program, Federal Reserve Chairman Ben Bernanke said that he intended to force interest rates to go down, and lots of bond investors made a lot of money riding the bubble that Bernanke created. But now that Bernanke has indicated that the bond buying will be coming to an end, investors are going into panic mode and the bond bubble is starting to burst. One hedge fund executive told CNBC that the “feeling you are getting out there is that people are selling first and asking questions later”. And the yield on 10 year U.S. Treasuries just keeps going up. Today it closed at 2.59 percent, and many believe that it is going to go much higher unless the Fed intervenes. If the Fed does not intervene and allows the bubble that it has created to burst, we are going to see unprecedented carnage. Wall Street never thought it would be this bad. Over the last two months, and particularly over the last two weeks, investors have been exiting their bond investments with unexpected ferocity, moves that continued through Monday. A bond sell-off has been anticipated for years, given the long run of popularity that corporate and government bonds have enjoyed. But most strategists expected that investors would slowly transfer out of bonds, allowing interest rates to slowly drift up. Instead, since the Federal Reserve chairman, Ben S. Bernanke, recently suggested that the strength of the economic recovery might allow the Fed to slow down its bond-buying program, waves of selling have convulsed the markets. The SPDR Barclays High Yield Bond exchange-traded fund has declined 5 percent over the past month, though it rose in Tuesday trading. The fund has seen $2.7 billion in outflows year to date, according to IndexUniverse. Another popular junk ETF, the iShares iBoxx $ High Yield Corporate Bond, has seen nearly $2 billion in outflows this year and is off 3.4 percent over the past five days alone. Investors pulled $333 million from high-yield funds last week, according to Lipper. While correlating to the general trend in fixed income, the slowdown in the junk bond business bodes especially troubling signs for investment banks, which have relied on the debt markets for fully one-third of their business this year, the highest percentage in 10 years. So why should the average American care about this? Well, if the era of “cheap money” is over and businesses have to pay more to borrow, that is going to cause economic activity to slow down. There won’t be as many jobs, part-time workers will get less hours, and raises will become more infrequent. Those are just some of the reasons why you should care about this stuff. Municipal bonds are being absolutely crushed right now too. You see, when yields on U.S. government debt rise, they also rise on state and local government debt. With yields on the U.S. municipal bond market rising, local issuers on Monday postponed another six bond sales, totaling $331 million, that were originally scheduled to price later this week. Since mid-June, on the prospect that the Federal Reserve could change course on its easy monetary policy as the economy improves, the municipal bond market has seen a total of $2.6 billion in sales either canceled or delayed. If borrowing costs for state and local governments rise, they won’t be able to spend as much money, they won’t be able to hire as many workers, they will need to find more revenue (tax increases), and more of them will go bankrupt. Thus, there is only one direction for rates: UP, with muni bonds leading the decline, given that the financial structures of many municipalities are teetering. There is absolutely no good reason to be in municipal bonds now. And muni ETFs will be a worse place to be, given this is relatively HOT money that will try to get out of the exit door all at once. Please understand how many of these interest rate derivatives work. When the rates go against you, “margin” must be posted. By “margin” I mean collateral. Collateral must be shifted from the losing institution to the one on the winning side. When the loser “runs out” of collateral…that is when you get a situation similar to MF Global or Lehman Bros., they are forced to shut down and the vultures then come in and pick the bones clean…normally. Now it is no longer “normal,” now a Lehman Bros will take the whole tent down. Most people have no idea how vulnerable our financial system is. It is a house of cards of risk, debt and leverage. Wall Street has become the largest casino in the history of the planet, and the wheels could come off literally at any time. Stocks should peak in mid-2013 and fall until about 2020. 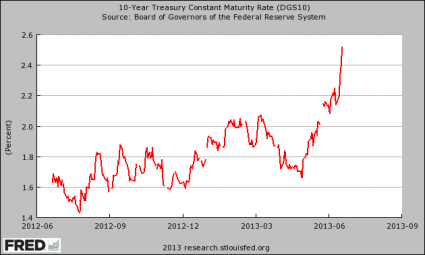 Similarly, bonds should peak in the summer of 2013 and fall thereafter for 20 years. He bases his conclusions entirely on cycle research. He expects the Dow to fall to around 5,000 by 2018 – 2020. The major 120 year cycle plus all minor cycles trend down into late 2014. The stock market should decline hard into late 2014. He believes that the stock market has peaked and has entered a generational bear-market. He anticipates a crash low in the market around 2016 – 2017. He sees a 36 year cycle in stock markets that is peaking in mid-2013 and down 2013 – 2016. “… the controlling energy wave is scheduled to flip back to negative on July 19 of this year.” Equity markets should drop 25 – 50%. His economic confidence model projects a peak in confidence in August 2013, a bottom in September 2014, and another peak in October 2015. The decline into January 2020 should be severe. He expects a world-wide crash and contraction in economies from 2015 – 2020. He discusses four long-term cycles that bottom roughly in the 2010 – 2020 period. They are: Credit expansion/contraction cycle; Price inflation/wage cycle; Generational cycle; and Peak oil extraction cycle. Stock prices should drop, on average for the balance of this decade. Demographic cycles in the United States (and elsewhere) indicate a contraction in real terms for most of this decade. I was stunned when I originally read through that list. Is it just a coincidence that so many researchers have come to such a similar conclusion? The central banks of the world could attempt to “kick the can down the road” by buying up lots and lots of bonds, but it does not appear that is going to happen. The Federal Reserve may not listen to the American people, but there is one institution that the Fed listens to very carefully – the Bank for International Settlements. It is the central bank of central banks, and today 58 global central banks belong to the BIS. Every two months, the central bankers of the world (including Bernanke) gather in Basel, Switzerland for a “Global Economy Meeting”. At those meetings, decisions are made which affect every man, woman and child on the planet. The Basel-based BIS – known as the central bank of central banks – said in its annual report that using current monetary policy employed in the euro zone, the U.K., Japan and the U.S. will not bring about much-needed labor and product market reforms and is a recipe for failure. So expect central banks to start scaling back their intervention in the marketplace. Yes, this is probably going to cause interest rates to rise dramatically and cause all sorts of chaos as the bubble that they created implodes. It could even potentially cause a worse financial crisis than we saw back in 2008. If that happens, the central banks of the world can swoop in and try to save us with their bond buying once again.